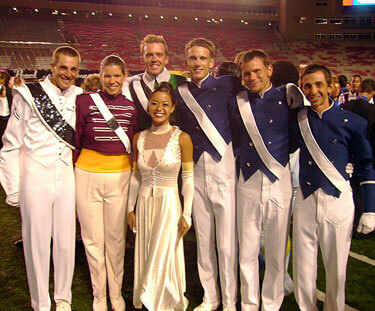 This picture is from Abbey Nixon, a 2006 member of the Cadets. This picture was taken during the ageout ceremony following the 2006 World Championship Semifinals in Madison, Wis. It's of me and all of the people who I go to school with that also aged out. We're all from the University of Oklahoma, and it was great to get to see all of them at the same time. In this picture, starting on the left, Josh Dawes, me, Stephanie Yuen, Eric Shannon, Joel Deardorf, Bryce Williams and Fred Alonzi.